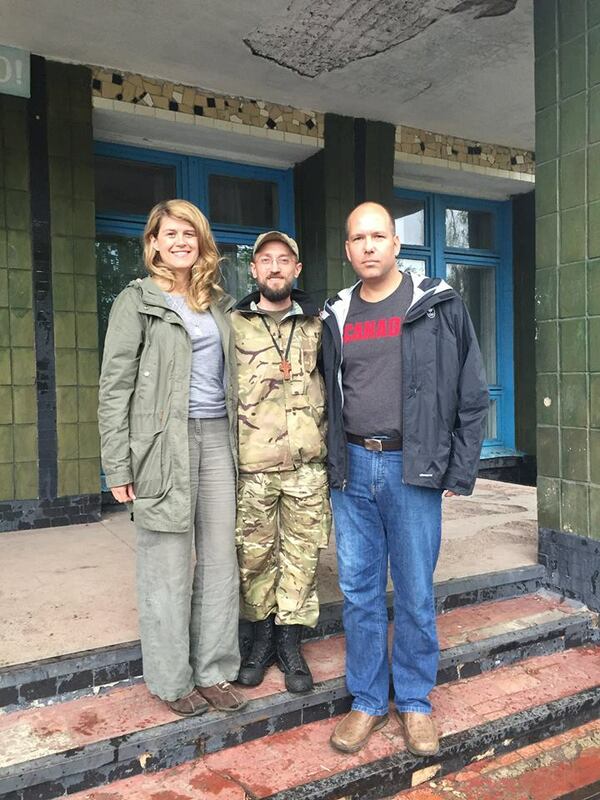 A report by Chair of the UCC Advisory Council in Ukraine Lenna Kocszarny on visit she and UCC National President Paul Grod made to the front lines near Mariupol in the Donbass. Yesterday, I had the distinct pleasure of visiting Mariupol, Ukraine for the first time, accompanying Paul Grod, President of Ukrainian Canadian Congress, together with Bogdan Kovalev, representative of the Ukrainian Volunteer Council, accredited with the Ministry of Defence. Our mission was to meet the brave Ukrainian patriots defending Mariupol on the front lines and ensure that uniforms, boots and night vision goggles provided as non-lethal military aid by the Canadian government were reaching those who need it most. The journey was long as we drove deep into the ATO (Anti-Terrorist Operation) zone to this famous city situated in southeastern Ukraine on the Sea of Azov, founded on the site of a former Cossack encampment named Kalmius and known throughout the years for its industrial might. To view the entire article along with pictures, please click here. 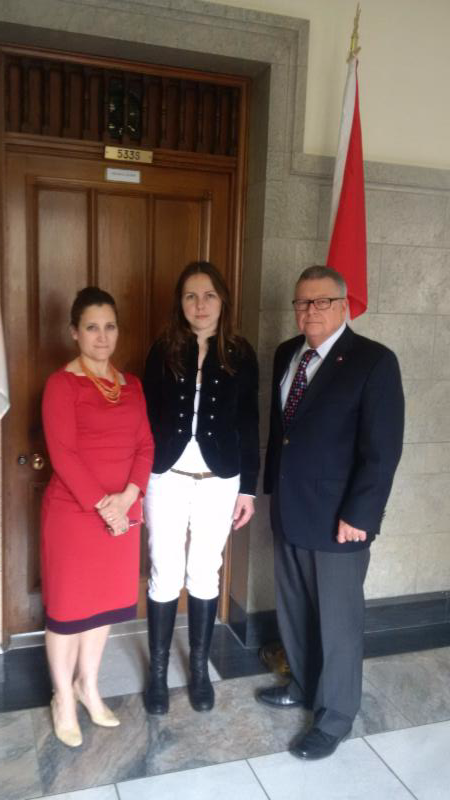 29 April, 2015 – Toronto/Ottawa – The Ukrainian Canadian Congress(UCC) welcomed Vira Savchenko, sister of illegally imprisoned Ukrainian military pilot Nadiya Savchenko, to Canada. 29 квітня 2015 р. – Торонто/Оттава – Конґрес Українців Канади радо зустрів у Канаді Віру Савченко, сестру незаконно ув’язненого українського військового пілота Надії Савченко. Віра Савченко відвідала Канаду для висвітлення питання незаконного арешту та ув’язнення російською владою її сестри Надії. Перебуваючи в Канаді, в суботу 25 квітня вона взяла участь у міжнародному круглому столі в Торонті на тему “Реформи, безпека та європейська Україна” та в неділю 26 квітня відвідала бенкет, організований фондом “Допомога Україні”, Українсько-Канадською Фундацією, Канадсько-Українською Торговою Палатою та Конґресом Українців Канади. 27 та 28 квітня пані Савченко зустрілася в Оттаві з політичними лідерами, українською громадою та засобами масової інформації. Лейтенант Надія Савченко – пілот військово-повітряних сил України, в червні 2014 року була викрадена підтримуваними Кремлем терористами на сході України в Луганській області. Її незаконно вивезли з території України в Російську Федерацію, де вона знаходиться незаконно ув’язненою й досі. Затримання Савченко є кричущим порушенням її основних прав людини та міжнародних зобов’язань Росії. Вона є жертвою війни Росії проти України та політичним в’язнем, якого Російська Федерація повинна негайно звільнити. Російська Федерація на даний момент незаконно утримує й інших українських громадян, порушуючи їхні права, зокрема режисера Олега Сенцова. Савченко утримують в Москві, де вона очікує на призначення дати судового засідання по звинуваченню в тому, що вона надала координати місцезнаходження двох російських журналістів, яких було вбито під час мінометного обстрілу в Луганській області. Савченко відхиляє звинувачення а записи розмов по мобільному телефону підтверджують, що під час загибелі журналістів вона вже перебувала під арештом терористичних угруповань. Вона оголосила голодування на знак протесту проти її незаконного затримання. Вона втратила 17 кілограм (37 фунтів) або 26% від своєї ваги. Її стан здоров’я критичний. Уповноважений з прав людини ООН та уряди країн усього світу вимагають негайного звільнення Савченко. Перебуваючи в Оттаві, Віра підняла питання складності ситуації щодо Надії та зустрілась з парламентським секретарем Міністра Закордонних Справ, членом Парламенту, Девідом Андерсоном;, Високоповажним Сенатором Рейнел Андрейчуком, Головою Сенатського Комітету Закордонних Справ; опозиційним членом Парламенту, критиком Закордонних Справ Полом Дюаром (Нова Демократична Партія) та з членами Парламенту, Високоповажним Ральфом Ґудейлом і Христею Фріленд (Ліберальна Партія), а також представниками засобів масової інформації. У вечір 27 квітня, Віра провела зустріч з більше 100 представників української громади в Оттаві. Віра також зустрілася з представниками Посольства України в Канаді. OTTAWA – APRIL 30, 2015. Canada’s House of Commons held a 4 hour “take-note” debate on the situation in Ukraine last night in which over 30 members of Parliament participated, including 4 members of the federal cabinet (the Hon. Rob Nicholson, M.P., P.C., Minister of Foreign Affairs; the Hon. Jason Kenney, Minister of National Defence; the Hon. Julian Fantino, Associate Minister of National Defence; and the Honourable Ed Fast, Minister of International Trade). 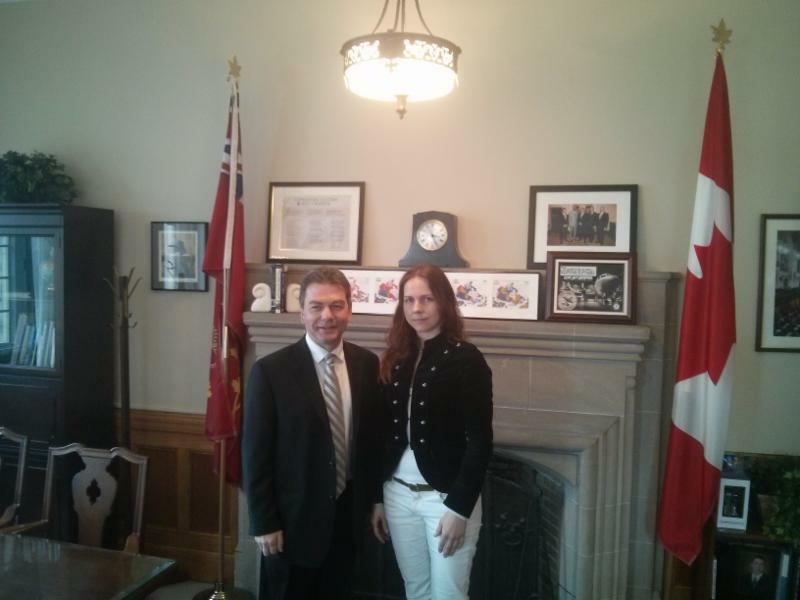 All of Canada’s recognized political parties expressed support for Canada’s military training mission to Ukraine. 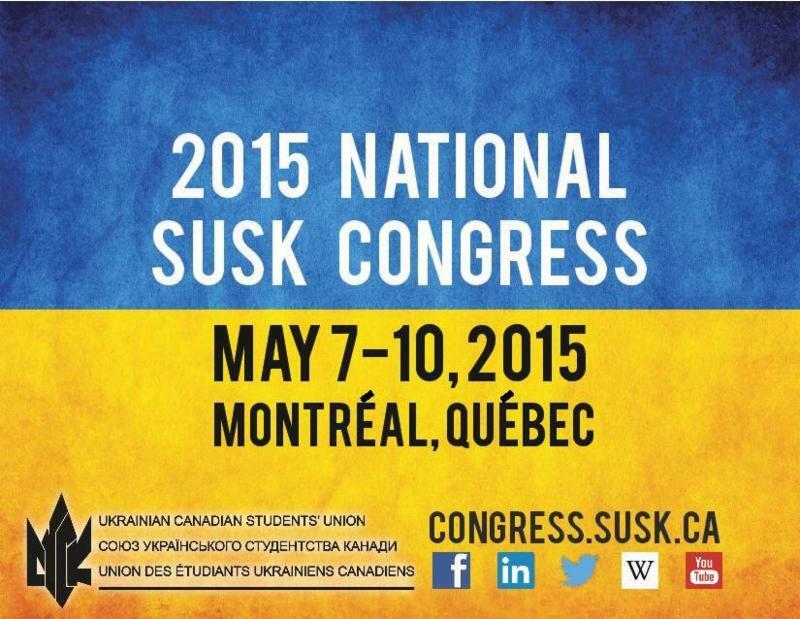 Ottawa – April 24 – The Ukrainian Canadian Congress (UCC) is pleased to announce three Canada Summer Job positions available to students to work with the UCC this spring and summer. Please find more information about the positions offered below. Students applying for the positions, must be 15-30 years of age, registered as a full-time student during the preceding academic year and intending to return as a full-time student for the next academic year. They must also be legally entitled to work in Canada as a Canadian citizen, permanent resident, or have refugee status. Ottawa, Canada (PRWEB) April 14, 2015 – The Canada Ukraine Foundation announced the launch of their mobile application to provide mental health resources for soldiers, veterans, their families and the Ukrainian people at large who are exposed to mental health trauma associated with the military conflict. The application was developed in Ukrainian with content provided by the Operation Stress Injury (OSI) Clinic of the Royal Mental Health Centre of Ottawa to permit these individuals to self-assess and find support for critical mental health issues including Post Traumatic Stress Disorder (PTSD), depression and sleep issues. Launched as “Mobilna Psychologichna Dopomoga” (Мобільна Психологічна Допомога), which means mobile psychological assistance in Ukrainian, the mobile application was developed as an expandable portal of information, with a series of assessment surveys that allows users to privately and discretely determine the type of referral they may need, and where they might be able to find those clinics and services in their region. Filled with additional resources, not only for clients, but also for health care professionals, the goal is to drive rapid diagnosis and allow users to find the help they need. 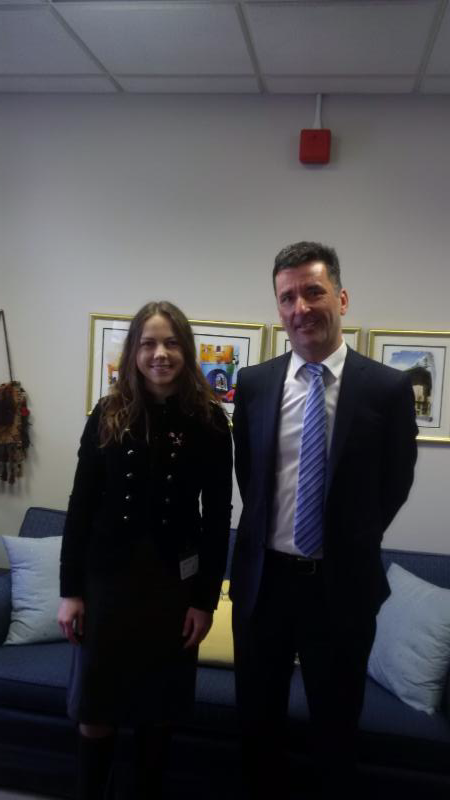 Funded by the Canada Ukraine Foundation, the application is based on the OSI Clinic Network mobile application developed by Veteran Affairs Canada in concert with the Royal Ottawa Mental Health Centre. The mobile application was developed by Purple Forge the leading provider of mobile applications to governments and public agencies in North America. The applications were developed with using a state-of-the-art mobile application content management system that will allow the applications to be updated on the fly by the Canada-Ukraine Foundation to share the latest content and information as it becomes available for users. 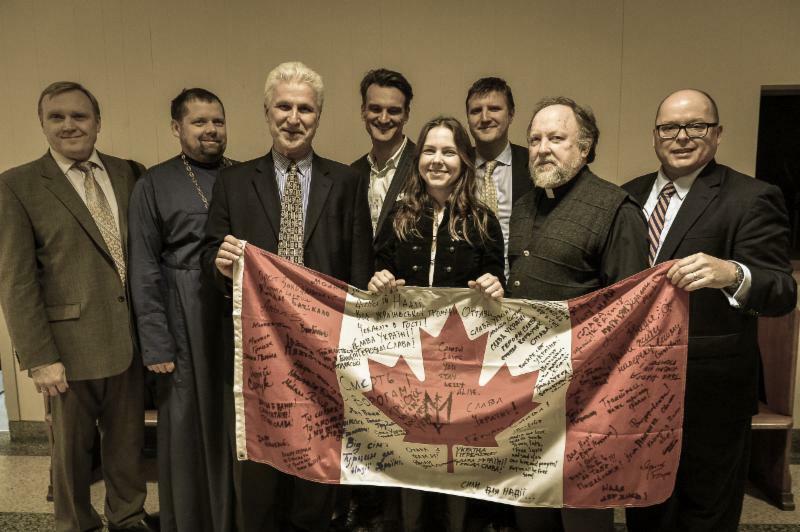 The Canada Ukraine Foundation (CUF) was established at the 18th Ukrainian Canadian Congress (UCC) in order to coordinate, develop, organize and deliver assistance projects generated by Canadians and directed to Ukraine. 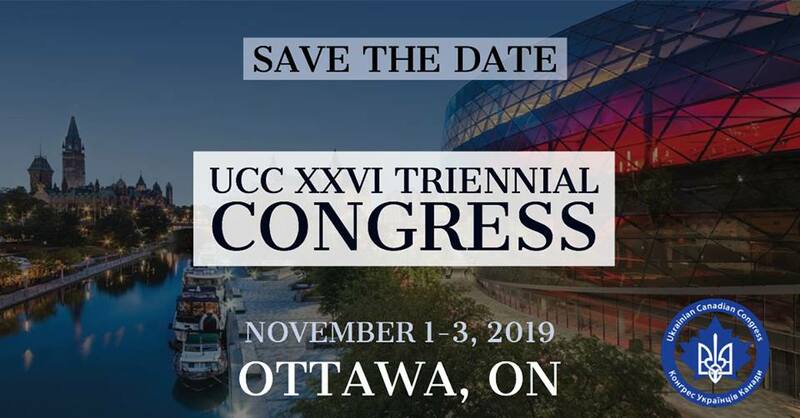 CUF assists in the development of a democratic nation with a civil society that maintains and develops culture, tradition and language in Ukraine by strengthening strategic partnerships in Canada and Ukraine. To visit their website, click here. Purple Forge sells subscription based services to organizations looking to engage their stakeholders using the latest mobile application technology and leveraging community engagement and social networking best practices. Purple Forge is an award-winning firm led by seasoned mobile communications and Internet technology veterans. Our mobile applications allow organizations to broadcast, share and receive feedback from their target audience real-time, allowing them to foster long-term, engaged relationships. The Ukrainian Canadian Congress (UCC) asks that all Canadians pause today to remember the victims of the Chornobyl nuclear catastrophe. Today, we commemorate the 29th anniversary of the Chornobyl nuclear disaster. 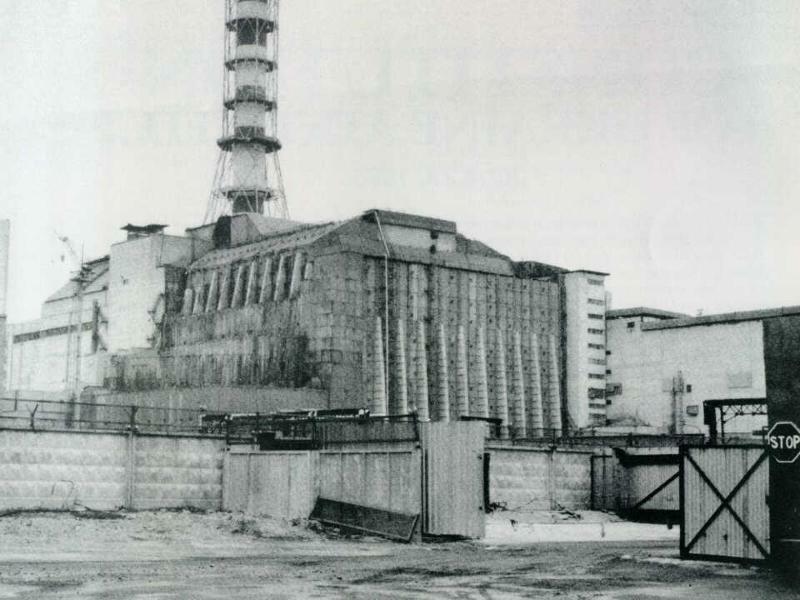 On April 26, 1986, at the Chornobyl nuclear power plant in Ukraine, an explosion and meltdown occurred at one of the reactors. The massive amount of radiation released by the explosion impacted a wide swath of territory in Ukraine and Belarus. the terrible impact of this tragedy affected thousands of people and the adverse effects on the population’s health and the environment are still being felt today. The UCC prays for the victims and all those affected by the Chornobyl disaster. Many communities across Canada mark the occasion of the anniversary of this tragic incident with vigils and solemn commemorations. Please check the calendar of events on the UCC website for information on vigils taking place in your area. Оттава, Онтаріо – 26 квітня, 2015 – Конґрес Україців Канади висилав цю заяву на визнання 29-ої річниці Чорнобильської ядерної катастрофи в Україні. Багато громад у всій Канаді урочисто вшановують річницю цієї трагічної події. Будь ласка, прогляньте календар подій на сайті КУК для отримання інформації про заходи, які відбуваються у вашому регіоні.